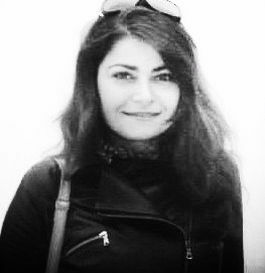 Vuslat Demirkoparan Katsanis is a Turkish-born Los Angeles-based scholar and practicing artist working at the intersection of multiple expressive traditions. ​I teach four undergraduate courses listed in the University Writing Program and direct the University Writing Center. Mentored incoming first-year students in their writing and study habits, and offer group workshops to teach college-level writing skills. I teach two course sections in the interdisciplinary Humanities Core Course Program to first-year college students. Assisted in teaching the discussion sections of courses listed in the Art History, Film and Media Studies, and Comparative Literature departments. Research Travel Grant, University of California Humanities Center (for doctoral research travel). University of California, Irvine. Research Travel Grant, International Center for Writing and Translation (to research in Istanbul, Turkey). University of California, Irvine. Outstanding Teaching Assistant Award (by nomination), Department of Film and Media Studies. University of California, Irvine. Graduate Student Fellow, University of California Humanities Research Center. To attend the Seminars in Experimental Critical Theory. Conference Travel Grant, University of California Humanities Center. University of California, Irvine (to present at the Society of Cinema and Media Studies Conference in Chicago, USA). Conference Travel Grant, University of California Humanities Center. University of California, Irvine (to present at the Society of Cinema and Media Studies Conference in Vancouver, CA). Individual Research Grant, University of California Humanities Center (to start a modern Turkish films collection). Department of Film and Media Studies. University of California, Irvine. Robyn Shikiya Memorial Graduate Award in Visual Studies (awarded by nomination). University of California, Irvine. University of California Regents Fellowship. Honorary membership, Phi Beta Kappa. Andrew W. Mellon Fellowship for the Arts. University of California, Riverside. “Collecting as an Act of Stubborn Resistance: Time and Passing in Pelin Esmer’s Ten to Eleven.” Pacific Ancient and Modern Language Association. Pasadena, California. “Gender-Neutral Language in Education.” Round-table workshop with James Spady and Kristi Wilson. Soka Education Conference, Soka University of America. Aliso Viejo, California. “New Turkish Cinema and the Capture of Everyday Life in the City.” Constructing the Self, Constructing the City. American Comparative Literature Association. New York University. New York, New York. “I Hope You Love and Aren’t Loved Back: Abandonment and Self-Alienation in Nuri Bilge Ceylan’s Three Monkeys (2008)” Aesthetic Responses from the Black Sea. American Comparative Literature Association. Brown University. Providence, Rhode Island. “Making Time Strange: Temporality and Estrangement in Nuri Bilge Ceylan’s Clouds of May (1999) and Climates (2006).” Temporality in Film. American Comparative Literature Association. Vancouver, Canada. “Crystals of Time in Fatih Akın’s The Edge of Heaven.” German Studies Caucus. Northeast Modern Language Association. Rutgers University. New Brunswick, New Jersey. “The ‘Dead Spaces’ of Fatih Akın’s Migrant Cinema.” Department of Germanic Languages and Literatures. Harvard University. Cambridge, Massachusetts. “The City as Archive: Istanbul’s Atatürk Cultural Center.” Annual History and Theory Conference. University of California, Irvine. Irvine, California. “On the Ruins of Myself: Istanbul as Phantasmagoria.” 12th Annual Cultural Studies Symposium. Ege University, Izmir, Turkey. “Images of Home and Diaspora: Fatih Akın’s Istanbul.” 15th Annual (dis)junctions Conference: Where the Streets are Renamed. University of California, Riverside. Riverside, California. “Alternative Modes of Resistance: Melancholic Interludes and Sound Bridges in Fatih Akın’s 2004 film, Head On.” Society for Cinema and Media Studies. Chicago, Illinois. “Visions of Temporality and the Other in Sorak’s film G.O.R.A.” Society for Cinema and Media Studies.